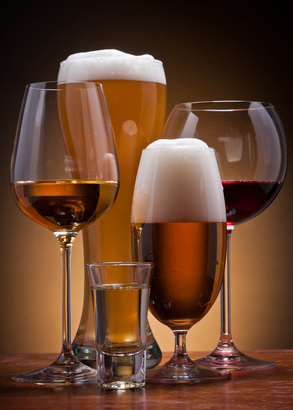 Delayed recovery after oral surgery: alcohol aggravates the oral tissues leading to an increase in healing time. Tooth decay: Due to the high sugar and acid content of alcoholic drinks the rate of tooth decay is increased, especially for frequent consumers and those who fail to brush and floss regularly. Oral cancer: The Oral Cancer Foundation states that "The dehydrating effect of alcohol on cell walls enhances the ability of tobacco carcinogens to permeate mouth tissues." Also, "Nutritional deficiencies associated with heavy drinking can lower the body's natural ability to use antioxidants to prevent the formation of cancers."